Choosing a career? Skilled labor salaries are through the roof. Carpenters. Welders. Electricians. Bricklayers. Drywall Installers. Across the board, careers in skilled labor are seeing massive salary growth as demand for these types of trades is skyrocketing. The reason for this? Across many markets, there’s a shortage of skilled laborers—a gap that desperately needs filling. In fact, those who complete training, certification programs, or appropriate degree programs are now enjoying job placement rates around 90%. More than ever, the construction industry needs skilled professionals. With skilled construction jobs booming, the research is everywhere. Contact a solid construction contractor for information, guidance or even possible assistance with your training. Contact a local trade school or technical institute. Converse with family. Just whatever you do, don’t overlook a great opportunity and a rewarding career path. 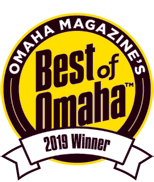 Total Construction is a two-time recipient of the Omaha Better Business Bureau Integrity award. We continue to hire the best craftspeople while serving the finest customers in the Metro since 1987.